This is one of the most obvious uses for these markers because you see them everywhere. Whether you are a homeowner promoting a yard sale or small business trying to boost sales, these markers perfectly convey your information. 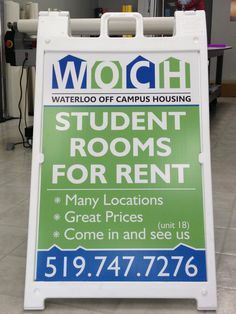 To draw attention to your A-frame sign, design it with attention-grabbing copy and pictures. We can help with this. Also, you will want to place your marker in an area that gets a lot of foot traffic. This way people can’t avoid your message. A-frame signs are commonly used in residential areas or in school zones to provide a safe atmosphere for kids. To designate crossing points near parks, homes, and schools, utilize a “Children Crossing” sign. Or, indicate where children are present with a “Children at Play” sign in the middle of the street. Schools and school crossing guards often use these markers to help protect children, but neighborhood associations should also consider displaying these signs. Sidewalk signs are ideal for showcasing your specials and other menu items. You can use it in catering situations as well as outside or inside of your establishment. Focus on a few unique or popular menu items that could entice a passerby when using these signs outside of your eatery. Boring items or simply listing too many options can cause people to ignore your A-frame sign. 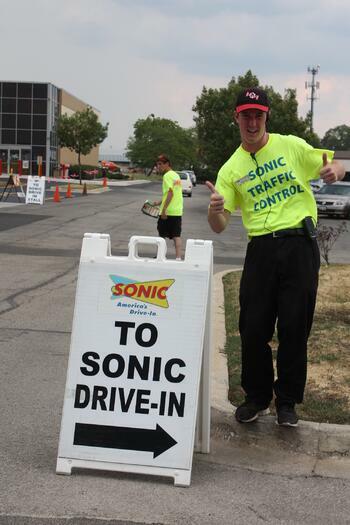 Sales and promotions are also important to include on your signs since they will draw hungry diners in. Trying to organize an event can be a nightmare. 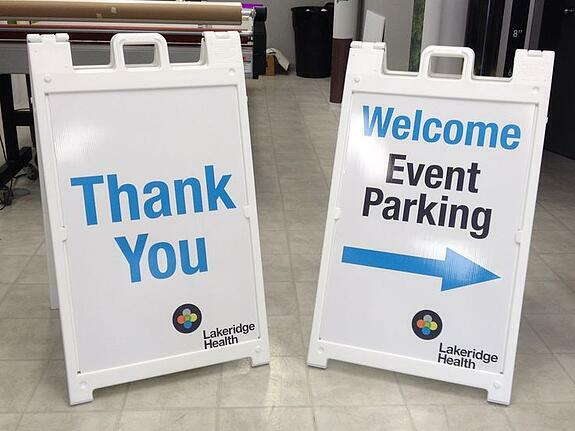 Provide necessary information and add order to your shindig with A-frame signs throughout your venue. Post a list of crucial sign-in procedures in registration areas. Take advantage of both sides of your A-frame by keeping it in open areas away from walls. For maximum signage efficiency, post directions on both sides of the sign. This will help your eventgoers find their way around without confusion. 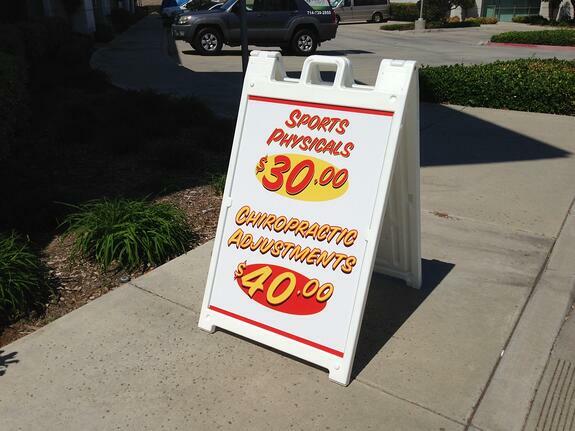 If you are looking to emphasize a promotion, seasonal special, or sale, sidewalk signs are the ideal solution. Plus, it is a smart option for short-term use since you can fold the sign up and store it easily. Be sure to share specific sale items, benefits, and percentages to really entice shoppers. Also, maximize the effectiveness of your promotion by being clear and direct with what you display. This should give you a good idea of what is possible with A-frame signs. If you are interested in learning more, contact the friendly professionals The Sign Studio today for a free consultation on A-frame sidewalk signs in Los Angeles.